We love decorating Easter eggs and have tried all sorts of fun methods. This year we might try something a little easier like these scribble Easter eggs. Since they use crayons, they are super kid friendly. I think I might have to pull out my Sharpie collection. 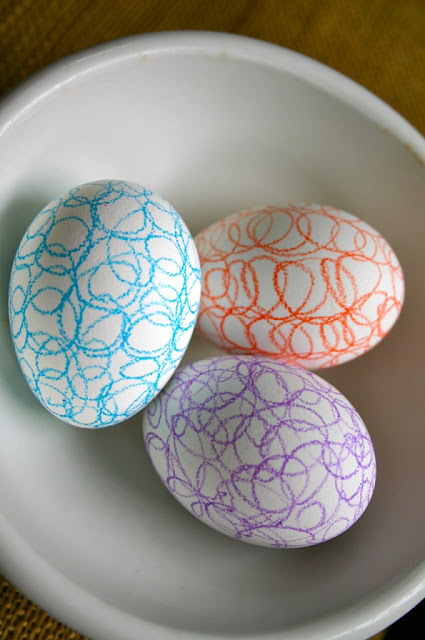 You can check out these scribble eggs over at Family Chic.